Moving is always full of difficult decisions. You have to decide whether or not to hire a moving company, or whether or not to do the move yourself. You also have to decide where to live. Sometimes you might not have a decision, and you might have to move because of your job. At truckrental.net we have noticed quite a few people have started moving to the central United States. We have seen a lot of requests for the state of Missouri, and most of these requests have been for the city of St. Louis. We decided to try and find out why so many people are deciding to call St. Louis home. Truckrental.net asked the questions that really make a difference, and we have the most important answers that will help you decide if St. Louis is the city that you should be calling home. St. Louis is on the east side of Missouri. It is the second largest city in the state. St. Louis was founded in 1764, and the mighty Mississippi River helped the city grow fast. It quickly became a major port, and the city experienced a lot of growth after the Civil War. At one time it was the fourth largest city in the United States. In the year 1950, the population of St. Louis was at its peak. The population in St. Louis has slowly declined since this date. Today, there are just over 300,000 people that call the city of St. Louis home. All of these people are packed tight into just over 66 square miles of land. That means that there are roughly 5000 people per square mile. That makes the city of St. Louis pretty crowded. There are several smaller cities outside of St. Louis. 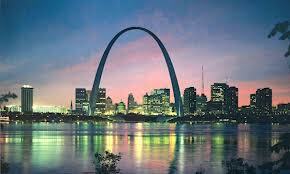 The population of all the cities and St. Louis, is almost 3,000,000 people. If you are looking for some wide open space where your neighbor is a few miles away, you will not find it in St. Louis. The cost of living in St. Louis is a little on the high side. It is not quite as expensive as New York, or California, but it is a little more expensive than other places in the United States. For example, an average meal at a mid range restaurant for two is going to cost right around $50. One meal at a fast food joint is going to cost right around six dollars. This might not seem that bad, but it is a little bit higher than the rest of the country, and so are some of the other food prices. A loaf of bread will cost $2.50, and a dozen eggs is almost the same price. Fresh fruits like apples and oranges are well over two dollars per pound. The average monthly utility bill is a little higher as well. It is almost $300 per month. The monthly average for the rest of the United States is right around $200 per month. Apartment rental fees seem to be right on par with the rest of the country. A three bedroom apartment in the city will cost right around $1300 per month. The same apartment outside of the city will cost an average of $800 per month. Because the cost of living in St. Louis is a little bit higher than the rest of the United States, the average monthly salary is also higher. It is right around $4200 per month. Overall, St. Louis is a great city to call home. It is a little bit more expensive, and a little on the crowded side, but other than that it is a great place to live.